In dentistry, dental implants are truly in a class of their own. They are the only treatment that replaces an entire tooth from root to crown, giving a patient the next best thing to a natural tooth. At Andover Family Dental, we’ve used implants to help countless patients rebuild their smiles, and we can do the exact same for you. Whether you’re missing one tooth, a few, or all of them, we can seemingly turn back the clock and give you a complete smile again. To learn more about how this treatment could help you, contact us today to schedule a consultation. 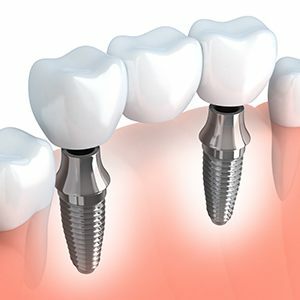 Why Choose Andover Family Dentistry for Dental Implants? 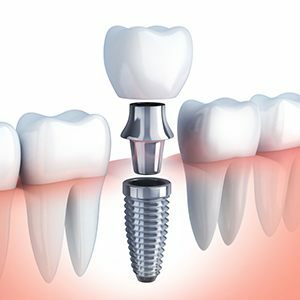 Stability: A dental implant is a small titanium post that is placed into the jawbone to recreate the root of a tooth. This can then be used to support any number of restorations above the gum line. Because implants are anchored directly into strong bone, patients don’t have to worry about their new teeth slipping or breaking no matter what they eat. Aesthetics: Implants aren’t held in place using small metal attachments like other replacements, and they’re usually topped with all-porcelain restorations, helping them blend seamlessly into any smile. Bone Retention: The jawbone naturally starts to shrink and deteriorate in the area where a tooth goes missing, but implants can stop and even reverse this process. This helps maintain the strength of the bite as well as the overall shape and appearance of a patient’s face. No other treatment can do this! Longevity: With the proper care, implants can easily last for 30 years or even for the rest of a patient’s life without having to be replaced. After placing an implant into the jaw, it can be topped using a custom-made porcelain crown. It will be shaped to fit securely among the surrounding teeth and color-matched as well. In the end, only you and your dentist will know which tooth isn’t real. 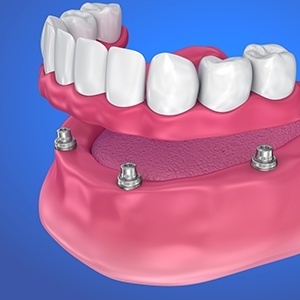 If a patient is missing three or more teeth in a row, instead of replacing each one with an individual implant, just two implants can be used to support a strong and reliable bridge. Compared to regular bridges, implant-retained ones have a better fit and look more natural. 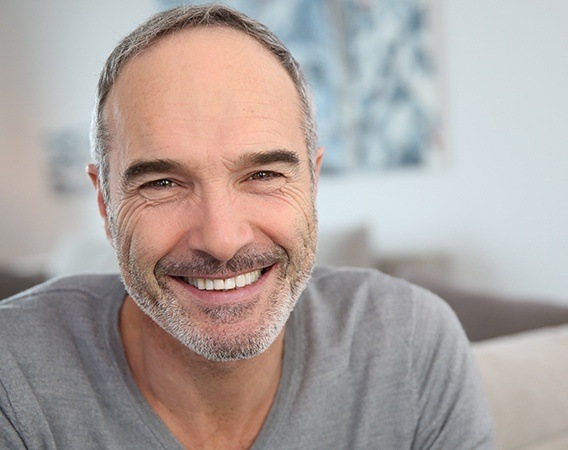 With four strategically placed implants, we can secure a full denture to the jawbone, giving it a hold and security a traditional removable prosthetic simply can’t match. In order to get dental implants, a patient must first undergo a minor surgery in which the new roots are positioned within the jawbone. Typically, dental offices have to refer their patients to and outside specialist for this, which tends to add time, expense, and stress to the process. At Andover Family Dental, however, we save our patients the hassle by providing the entire procedure in one convenient location. From your initial consultation all the way until you leave our office with a renewed smile, you’ll be able to work with the same dentist and team that you trust. The price of a dental implant procedure can vary quite a bit from person to person depending on their specific situation. 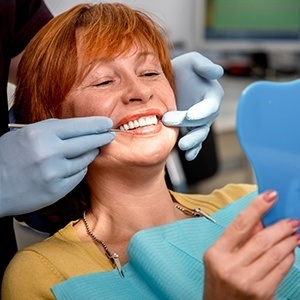 Factors such as how many teeth a patient wants to be replaced, where they are located in the mouth, and what kind of restoration is used can all make the treatment more or less expensive. While implants do tend to cost more than other tooth replacement options, they are actually the best long-term investment overall. Why? Because regular bridges and dentures typically need to be completely redone every 7-10 years, while implants can often last for 30 or more. 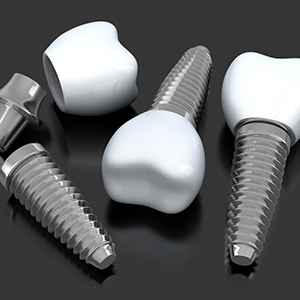 With implants, a patient will save thousands in periodic maintenance and retreatment over time.